My mouth is watering just thinking about the lemon–garlicky, salty feta-ness of this Mediterranean-style dressing. 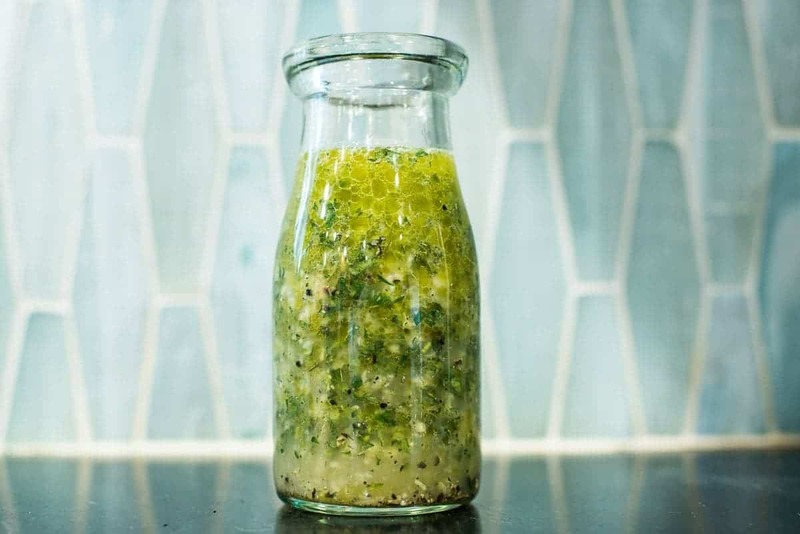 I love to eat a big bowl of cucumbers topped with this dressing. When I was pregnant with my daughter the one thing that I had cravings for was cucumbers. I would eat cucumbers by the bushel. My favorite three ways to eat them were with Greek dressing, a sesame soy dressing, or with lime and chili. – Seriously, so good!!!! 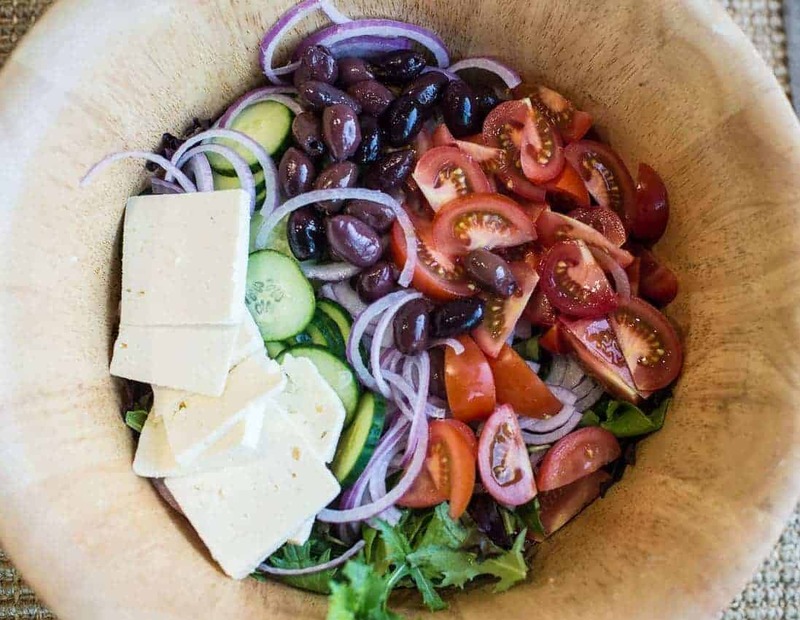 This Greek dressing really brings a bowl of veggies to life. It’s a perfect topping for my Greek Burger Beast Bowl. Check out the Beast Bowl and my awesome tzatziki. Pro tip: This is the best garlic press that I have ever used. It works really well, is easy on your hands, easy to clean – AND the stainless steel keeps your hands from smelling of garlic! Squeeze the juice from 2 lemons. Add to a medium bowl. Add 6 large cloves of pressed garlic into the lemon juice. Add 1 tbsp minced fresh oregano. Whisk in olive oil as you drizzle is slowly into the lemon juice. Stir in ¼ cup of crumbled feta.